This couple has been working in business intelligence industry as consultants for a long time. They have been in the field and they are very bottom-line oriented. They get down to the specific process improvement examples and common mistakes with business intelligence programs implemented in many companies they have seen. 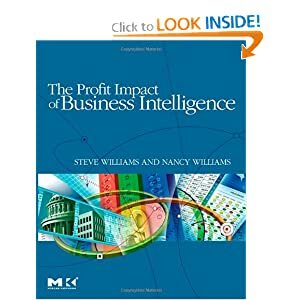 It is a great read about business intelligence and beneficial to all business owners - regardless of what industry they are in. Great book for communication. Invaluable for sales people but also applicable to anybody that needs effective communication. 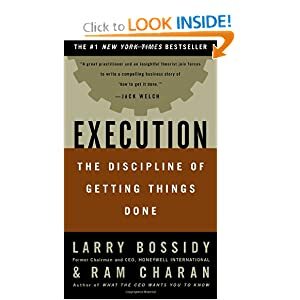 This is a book about running your company - in any industry. The structure proposed is divided in three: people, strategy and operations. The authors are CEOs of really big companies and they have proven that they do not just talk - they walk as well. 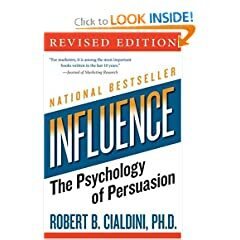 This is a great book about human psychology. The author is a psychiatrist that is fascinated by the sales people's ability to manipulate him. So, he started working on the area of influence and how people get influenced. The most striking example is about a suicide cult. If you can sell joining a suicide cult, you can sell anything.